Is actually a work of art. You might recognize this house as the mansion of Doc Brown from the Speilburg classic, Back To The Future. 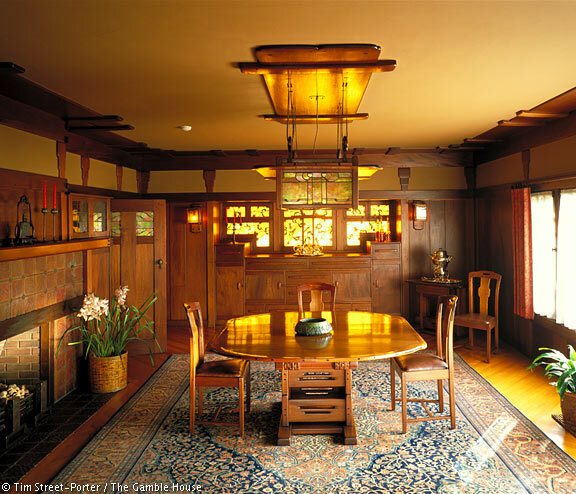 However, long before its big screen debut, the Gamble House was originally famous for being one of the oldest and most well designed Craftsman style homes in America. 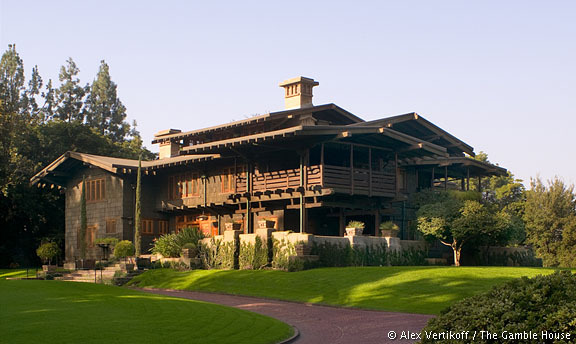 Located in Pasadena, California, both the house and its furnishings were designed by Charles and Henry Greene in 1908. 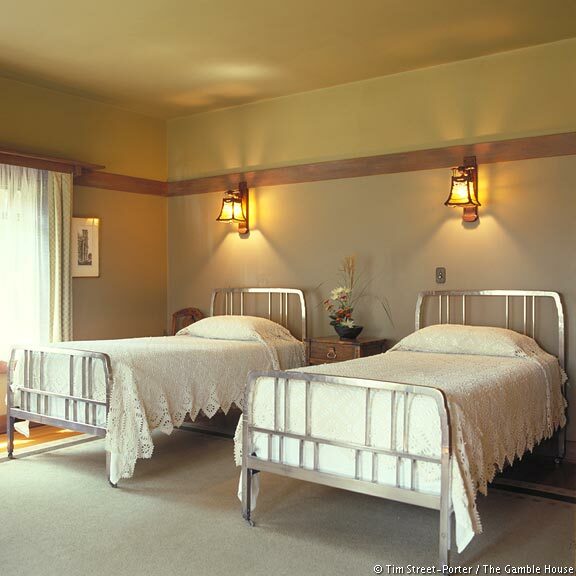 The architects worked in collaboration with David and Mary Gamble, incorporating very precise design elements to compliment specific pieces in the family's art collection. 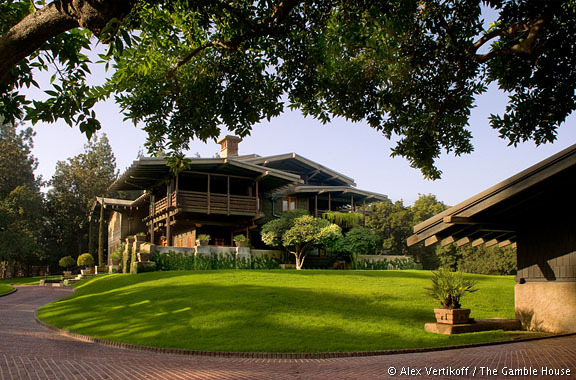 The house remained in the family until 1966, when after realizing the artistic importance of the home, it was deeded to the city of Pasadena in a joint agreement with the University of Southern California School of Architecture. 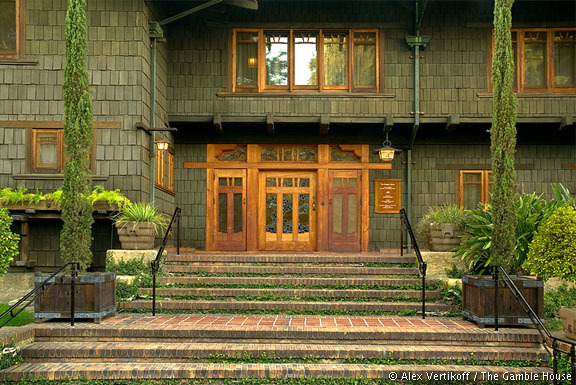 Take a peek using the gallery below, or take a virtual tour on the Gamble House's website. 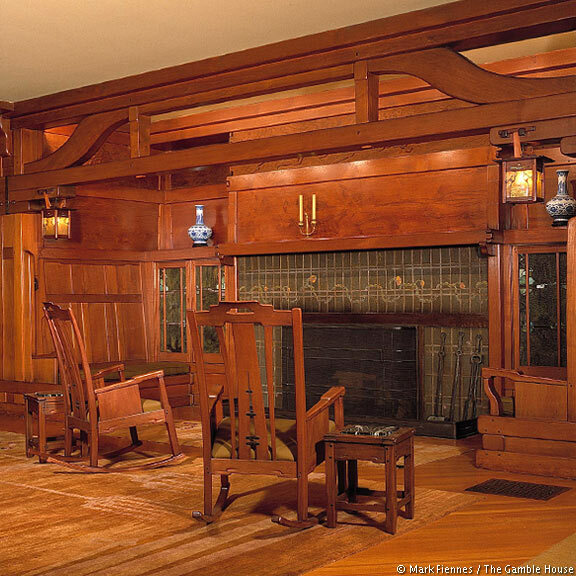 The American Craftsman style home originated during the American Arts and Crafts movement, which was an American domestic architectural, interior design, landscape design, applied arts, and decorative arts style and lifestyle movement that began in the later years of the 19th century. These homes have resurfaced as the most desirable of architectural styles throughout the years following the movement's birth, proving them to be truly timeless. Craftsman homes found in the Carolinas are slightly different than those found on the west coast, but they typically possess most of the same key architectural elements. Below, is a checklist of such characteristics. 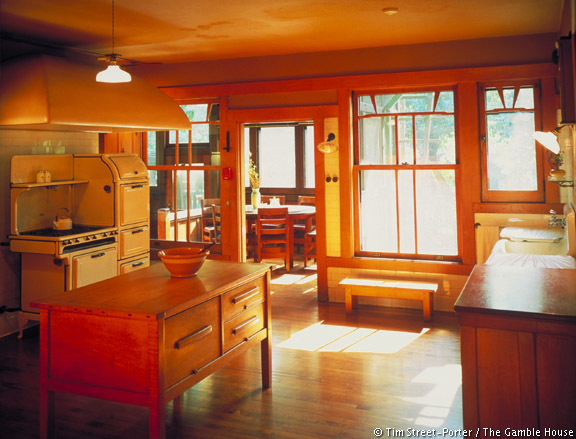 If you have any interesting stories about yours or a Craftsman house you know of locally, please feel free to leave us a comment. We'd love to hear from you!